Financial deconstruction and reconstruction can sometimes be the only solution to resetting the foundation for a solid financial outcome. It can be difficult to articulate an argument or a position if the numbers behind the analysis do not (seem to) support the proposition. A career farming family carved out close to $5.0m of net worth over 20 years from a scratch start. A fantastic achievement by all accounts. This was achieved through multiple farming enterprises, investments, divestments and structures. Cash flow was always reinvested back into the balance sheet, and throughout the journey, various forms of support was provided to their kids to give them their first step up on the world. From a (financial) spectator’s viewpoint, it was difficult to ascertain the true “profitability” of the exercises being undertaken given the multidimensional general ledger entries being performed over the years to capture the tax reporting requirements. The client was in the process of another rural divestment, investment and development proposition when they found that their bank was waning with overall support. What the client could see as a vast improvement on their position on the back of the transaction, the bank could not. Robinson Sewell Partners was called in. True to form, I was sympathetic to any time poor credit analyst that tried to decipher sensibility around the historical and projected performance of the opportunity at hand. Albeit all being said, it was as it was and no misdirection was ever intended. 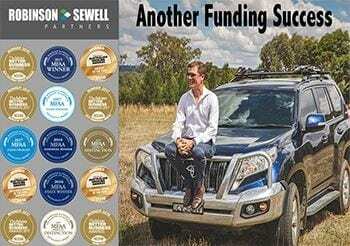 From ground zero, Robinson Sewell Partners worked closely with the client’s principle accounting partner to re-journal the historical trading performance, all under the Financial Reporting and Accounting Standards of Australia. This created a new set of financial data that more closely resembled that of true trading profitability, and being tax compliant. With a solid financial foundation to now work from, the proposed funding requirements were then dovetailed into a banking format that demonstrated commercial viability in a framework that was achievable and acceptable to the banks. Not only was $3.5m approved, but the alignment with a new bank also saved the client $30,000 p.a. on a comparative basis to their previous funding arrangements.